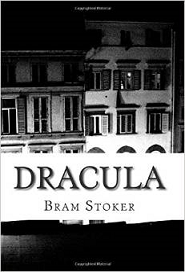 This novel tells the story of Dracula's attempt to move from Transylvania to England, and the battle between Dracula and a small group of men and women led by Professor Abraham Van Helsing. It takes place largely in England and Transylvania during 1893. Jonathan Harker, a newly qualified English solicitor, visits Count Dracula in the Carpathian Mountains on the border of Transylvania, Bukovina, and Moldavia, to provide legal support for a real estate transaction overseen by Harker's employer.